Award-winning author Beth Cornelison worked in public relations until she moved with her husband to Louisiana, where she decided to pursue her love of writing fiction. 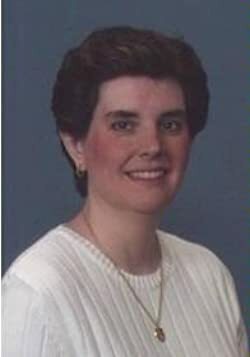 Since that time, she has published numerous romantic suspense books with Harlequin/Silhouette as well as single title books with Five Star Press, Sourcebooks, and Samhain Publishing. In December 2011, she released her first independently published contemporary romance for Kindle titled, TRUST IN ME. She has won numerous honors for her work including the coveted RWA Golden Heart. Her books have been nominated for Romantic Times Reviewers Choice awards, the RWA Rita and her 2009 release, THE CHRISTMAS STRANGER, won the Daphne du Maurier Award for Best Series Romantic Suspense. Beth lives in Louisiana with her husband, one son, and a variety of cats who think they are people. Please enter your email address and click the Follow button to follow Beth Cornelison! When Clay Colton found an abandoned car on his Texas ranchbloodstained and filled with cashhe knew he faced big trouble. But he didn't know how much trouble, until the crime scene investigator assigned to the case was the ex-wife who still haunted his dreams.